REGLAB (Recherche expérimentale sur la gouverance locale au Burkina Faso) is a research collaboration between the government of Burkina Faso (in particular its Programme d’appui aux collectivités territoriales, or PACT) and researchers at the German Institute of Global and Area Studies (GIGA) and the World Bank’s Development Impact Evaluation Unit (DIME). We develop and test innovative ways of improving municipal government performance, accountability and civic participation. Our work involves several large-scale policy experiments that test innovative ways of exposing municipal governments to greater scrutiny by citizens. We have also initiated Burkina Faso’s annual municipal performance survey — one of the first of its kind in the world. 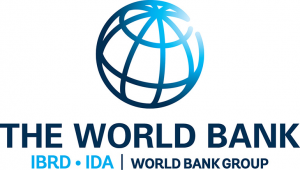 REGLAB is supported by a range of stakeholders, including Burkina Faso’s Ministry of Territorial Administration and Decentralization, the World Bank’s Development Impact Evaluation Initiative, and Yale University. We are grateful for research grants from the World Bank’s i2i trust fund, the Research Support Budget, Knowledge for Change Program, Innovation Challenge Fund, and EGAP’s Metaketa Initiative on Information and Accountability. 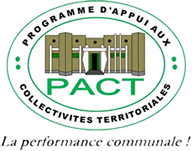 For parts of the research program, our partners include the Association of Mayors of Burkina Faso (AMBF), Burkina Faso’s National ICT Promotion Agency (ANPTIC), OpenData Burkina, and Innovations for Poverty Action (IPA) Burkina Faso.